Saved from the wars of the 20th century, many Swiss towns have been able to maintain their Old World charm. There are hidden courtyards, gardens with manicured flower beds and confectioneries selling Swiss pastries to write home about. 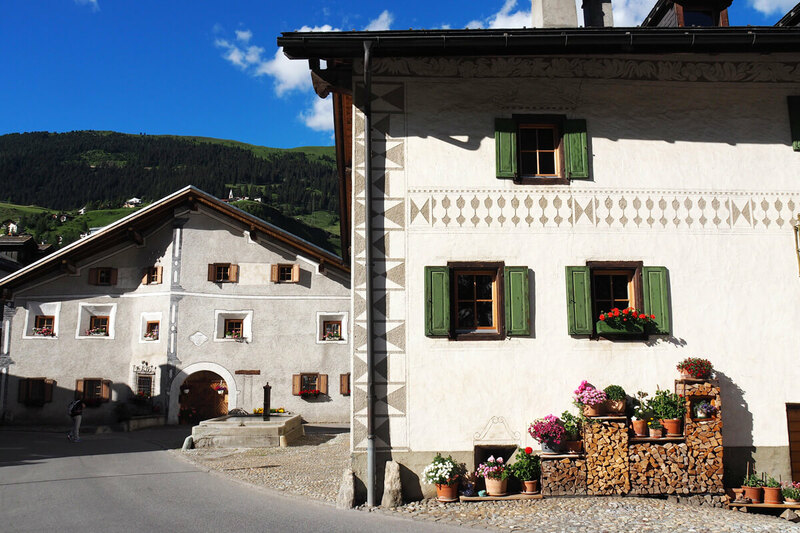 One Swiss town may charm visitors with cobblestone alleys and medieval wall murals. And another may feature striking views from the top of a cathedral. This southern town in Switzerland holds a special place in my heart. 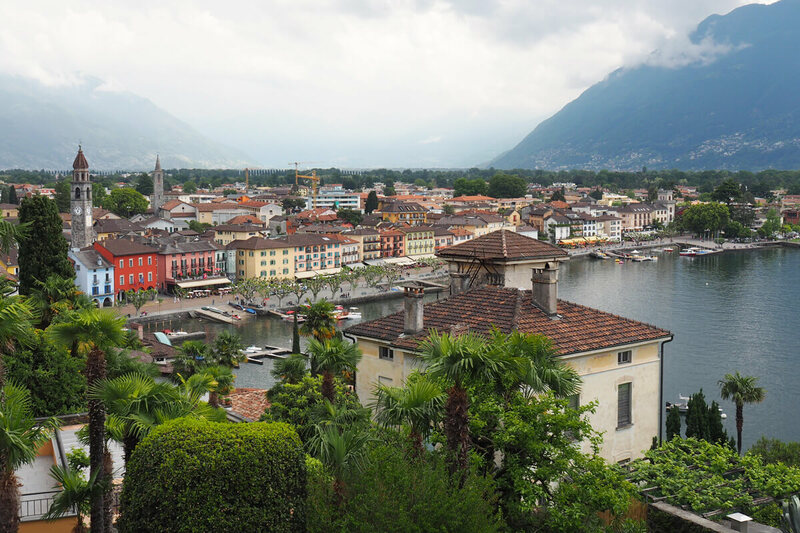 Whenever I take a walk along the lake, get lost among the cobblestone alleys or cruise to the nearby Brissago Islands, it is 100 percent vacation feeling. Ascona is not very big at all, but there are countless views and perspectives to be discovered. For instance, you could ascend the hillside on narrow roads that only locals use. From the top, you will have a bird's eye view of the lake promenade with its restaurants, bars and ice-cream parlors. This town is so charming, it once banned tourists from taking photographs. Sure, this turned out to be a PR stunt but it put Bergün on the map. At 1367 meters above sea, the town of Bergün is not playing make belief: it is as alpine as they get. During summer, Bergün with its green pastures, forests and lakes is a perfect destination for hiking. Among others, the Albula valley offers a trail dedicated to spotting trains. During winter, grab a wooden sledge (often included in your room rate) and whiz along Europe's longest floodlit sledding trail from Preda to Bergün. 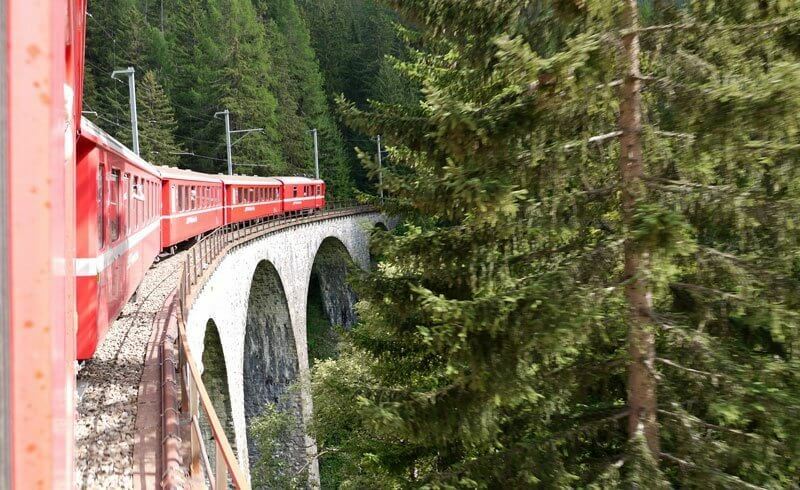 Why you should visit: Arrive by train on the UNESCO World Heritage Albula Line and feel the pulse of alpine life. The Bernese Alps are often synonymous with Interlaken and Grindelwald. But those in the know will stay in Brienz, a charming little chalet town with scenic lake views. 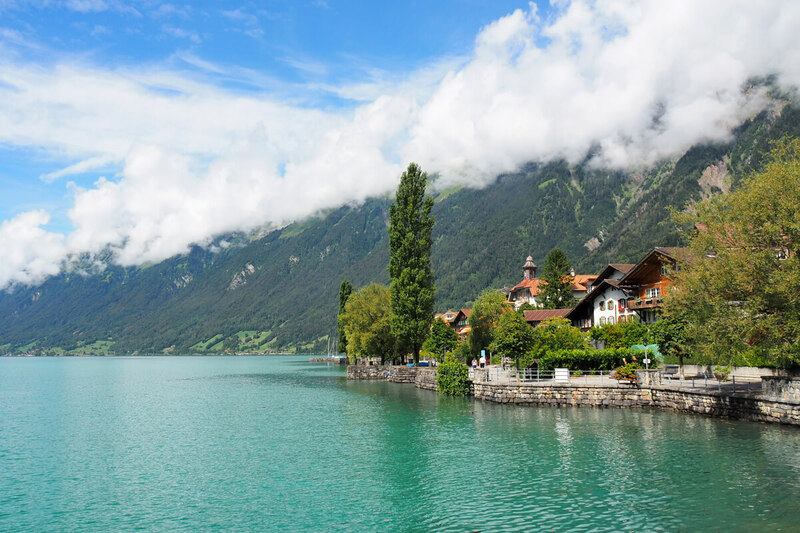 When it comes to public transportation efficiency, Brienz cannot be beat: within a minute's walk from the train station, you can hop onto a boat or a cogwheel train. Those who want to experience the feeling of being (almost) alone on a mountain top should grab a seat in the open-air cogwheel train headed for Brienzer Rothorn. Those who want to see the most turquoise blue waters in Switzerland should opt for a cruise on Lake Brienz. And those interested in history and architecture will find pleasure at Ballenberg, Switzerland outdoor museum featuring historic buildings. Why you should visit: Lakeside charms and major peaks within an hour's reach. Look up "remote" in the dictionary and you will likely find Foroglio. This town is tucked away in the wild Bavona Valley where no electricity lines reach. 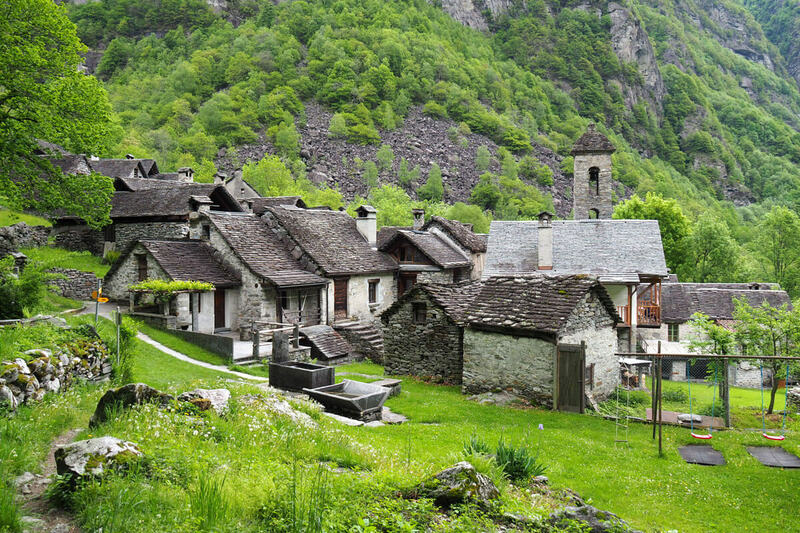 Since it is off the grid, Foroglio has retained only a few residence who dwell in the typical stone houses. The juxtaposition of small and large is ever present in this part of Switzerland: there is the small town located at the foot of a huge waterfall. And I felt very small while gazing onto the green valley floor after climbing to the top of the falls. Why you should visit: It's an off the beaten track stone village with an amazing waterfall. 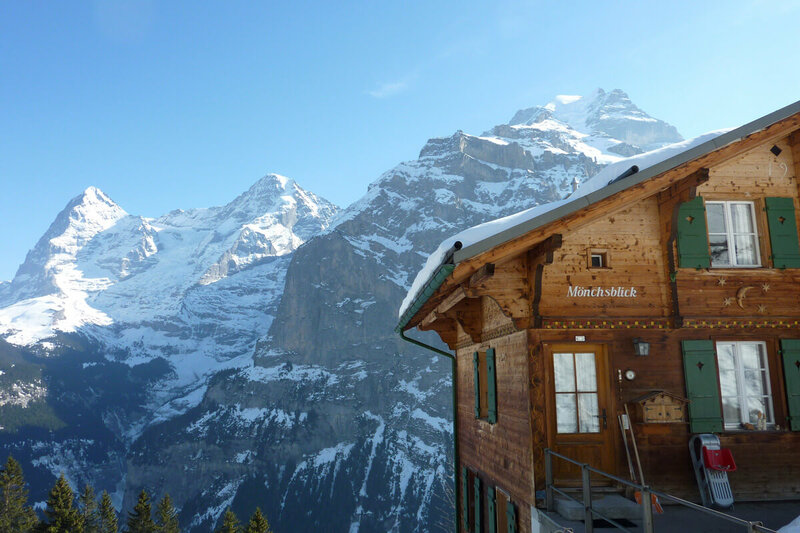 Today, the breathtaking views of Eiger, Mönch and Jungfrau are shared by just 400 permanent residents. Just like Zermatt, Mürren is a car free village which can only be reached by train or cable car. The lakeside town of Rapperswil does not exactly have village qualities, but its old town and castle are reasons enough to visit. Located along the pilgrimage route, Rapperswil has always been of cultural and strategic significance. Today, the castle with its age old vineyards houses a large collection of Polish heritage items that have been exiled. The walking bridge across the lake has been reconstructed and provides some unique perspectives of the mountains in the distance. But if history is not your thing, grab an Italian gelato and you will instantly feel like on vacation. The harbor is where all the action is with locals and tourists mingling among street musicians. 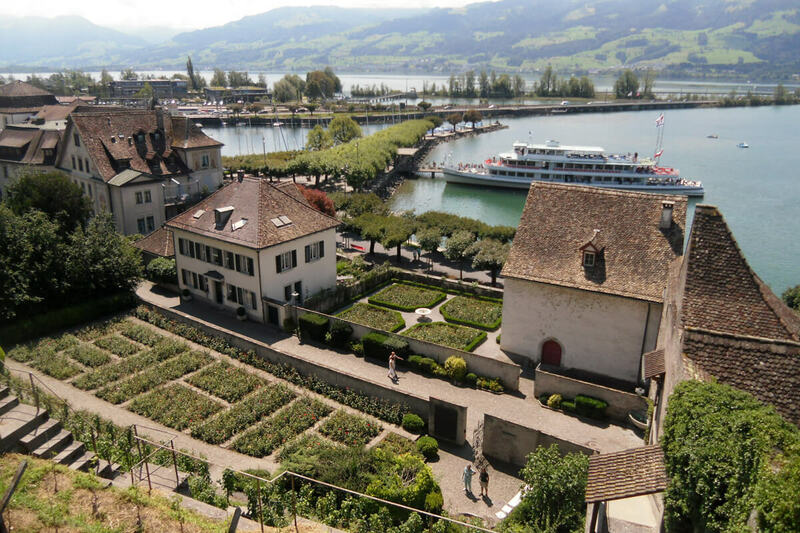 Why you should visit: Rapperswil truly deserves the designation "City of Roses." 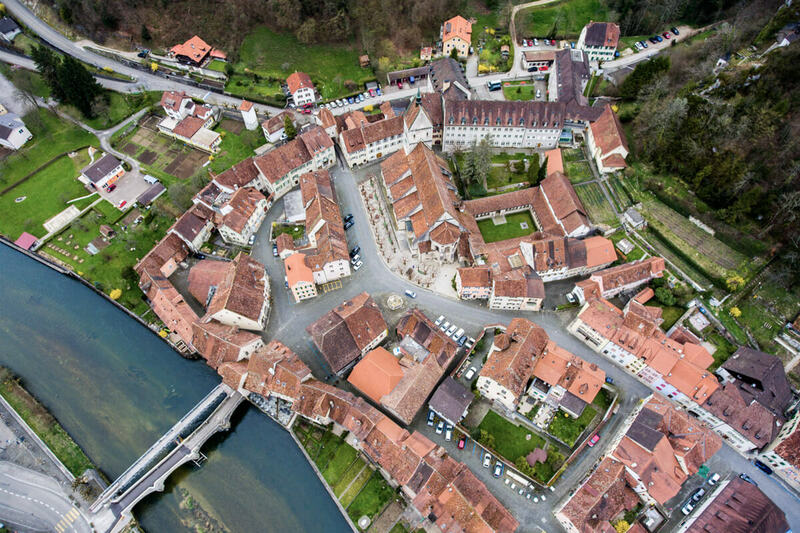 This medieval town with its Romanesque abbey church is nestled among the Jura mountain range. It not only feels remote, it is truly off the beaten path: the city of Biel is about an hour's train ride while Basel can be reached in 100 minutes. We approached Saint-Ursanne on a hiking trail high above the valley floor with the Doubs river, and it seemed as if we had discovered a place stuck in time. Before descending a steep fleet of stairs to the town, we paid a visit to the legendary hermitage of the Irish monk Usricinus. Saint-Ursanne can be accessed through one of three main gates, and the narrow cobblestone alleys are lined with well preserved colorful buildings. The town is host to a biannual medieval festival. Why you should visit: Not many placed make you feel like you are the only tourist around. Another recommendation is the Stadtrösterei, a coffee house next to the train station. They have an in-house roastery with delicious single origin blends. 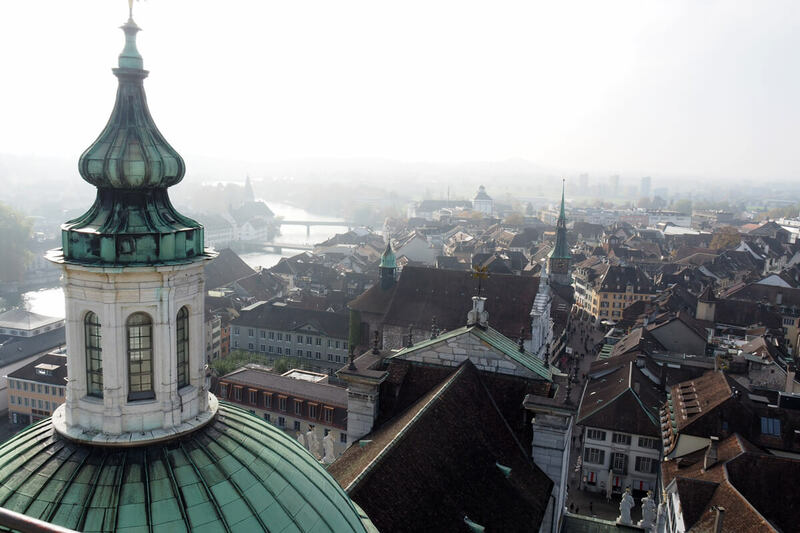 Why you should visit: Solothurn is a Baroque gem that embraces the number eleven. Located in a prime spot along the River Rhine, this town was spared from German bombing raids during WWII. 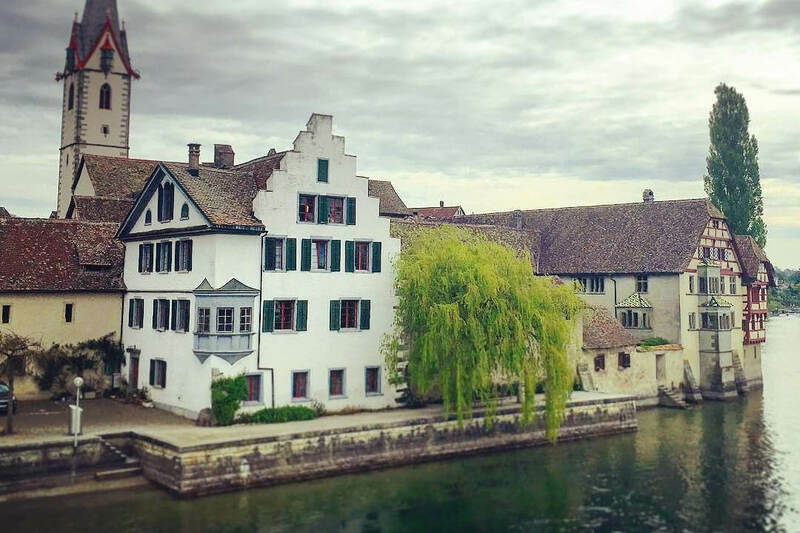 Stein am Rhein with its intricate wall murals and alleyways remains stuck in another century. As you cross the historic old town from the eastern gate towards the church, you will pass fountains adorned with colorful flowers and a variety of restaurants. Stein am Rhein is beautiful anytime of the year, but the riverside is most attractive during the warm seasons. The town hosts one of few firework displays on Swiss National Day. Why you should visit: A well preserved medieval old town within easy reach. Which are your favorite Swiss towns?